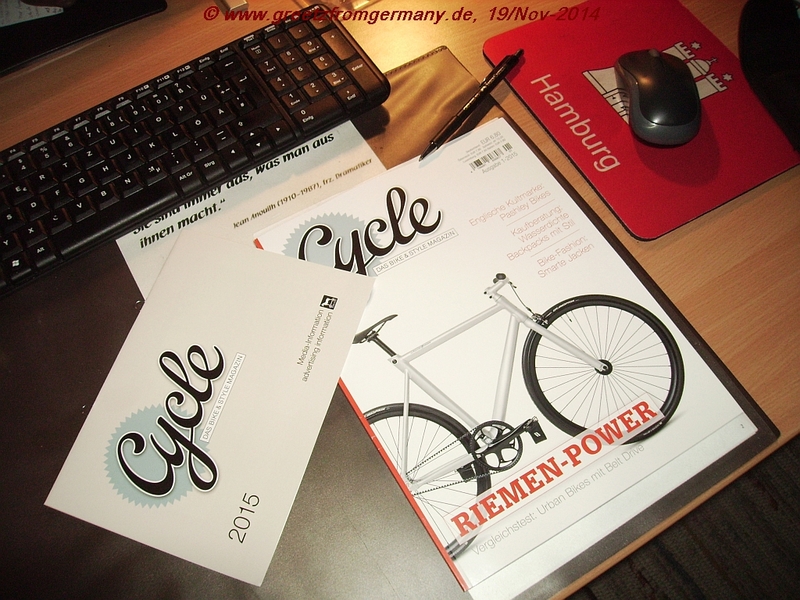 Germany has a new magazine about bikes, biking, bike style and cycle chic. 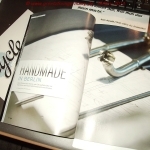 Well, at least it’s imminent that we can all read this magazine: CYCLE – Das Bike & Style Magazin. Everyone who is less lucky (or less well connected *snicker*), look out for a copy from Monday, 24th on. And look out for future postings here, as I will let you know my impression once I have gotten to actually reading what comes along – just physically – as a pretty sizeable book of text and content. 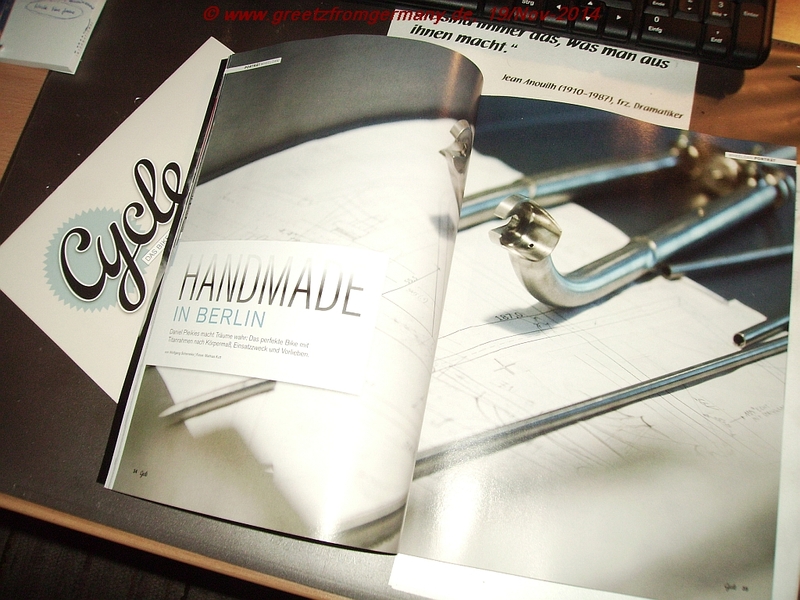 And high-quality, with a nice texture of the pages, silky with just a hint of gloss. Nice – goes well with the magazine’s claim of stylishness. Let’s see, if this first-glance impression is actually reflected by the texts and topics as well – because, at the end of the day, a zine like this is not exclusively about visuals, but also calls for smart texts to go with them, amending the „new and unusual perspectives“ of the pics by respective words. Enough – I need to start reading!